Aging infrastructure allows leaky natural gas pipelines to generate explosions, and the results can be lethal. This series of events is exactly what hit three towns north of Boston last September, when state police received reports of as many as 70 fires, explosions, and suspected gas leaks over the course of 1 day. Methane leaks from natural gas pipelines are costly hazards that unearth deadly consequences. By tracking leaks from up in the atmosphere and under the ground, researchers aim to inform policy and influence the oil and natural gas industry to manage escaping methane. Methane is a powerful greenhouse gas, trapping 84 times more heat than carbon dioxide during the first 20 years after it’s released. Unchecked methane leaks from the 3 million miles (about 4.8 million kilometers) of gas pipelines in the United States have the potential to wreak havoc on people and the planet, so quickly pinpointing leakage sources is critical for public safety. Along with their enhanced global warming potential, fugitive methane emissions are equally dangerous on local scales. Last September’s series of natural gas leaks near Boston turned deadly when ruptures in a pipeline that ran beneath the foundation of virtually all homes, schools, and businesses in the area caused multiple explosions. 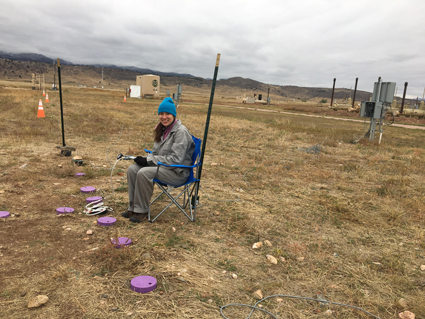 “Methane doesn’t smell like anything really,” said Bridget Ulrich, who coauthored the research and is a postdoc at the Colorado School of Mines. To make methane detectable, gas companies add a smellier gas known as methyl mercaptan as a safety precaution. “Once you can smell it with your nose, it’s definitely already too late. We need to be able to detect these much sooner,” said Ulrich. Because detecting methane leaks is motivated by public safety and because the effects are seen so immediately, preventing leaks from turning into deadly explosions remains a priority for policy makers: “I see it as an opportunity—number one—to drive the technology to be able to do better,” said Smits. Traditionally, tracking methane has been done from space using satellites or by people on the ground, but Smits and her colleagues described a holistic approach that harnesses science from both techniques. Taking rain and wind into account, the researchers examined how weather affects soil conditions and potential leaks. The researchers found they could locate leaky sources more quickly by better understanding how methane migration changes under different weather and wind conditions. 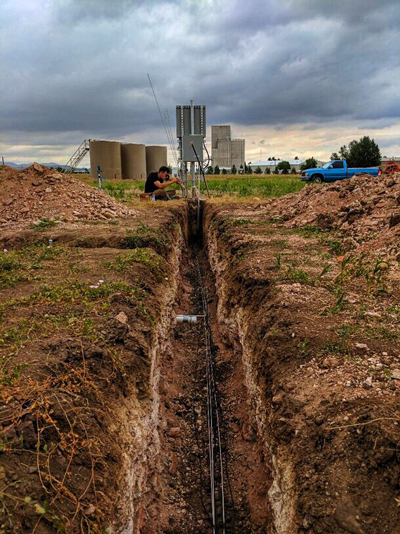 They simulated a natural gas leak and found that rain prevents methane from trickling out of the ground naturally, whereas sweeping winds flush the gas away quickly. Even when wind speeds are low, small gusts of wind wash away any sign of methane leaks and further complicate the detection process. “You’d have to be walking around with a sensor on your shoe to detect it, really,” stated Ulrich. People are looking to natural gas to replace coal as an energy source because it emits much less carbon, but recent research has found that persistent methane leaks from the oil and natural gas supply chain continue to go unnoticed. Thus, this new approach for detecting leaks could solve a pervasive environmental health issue in addition to reducing the risk of explosions. Citation: Brown, K. (2019), Detecting fugitive methane leaks for public safety, Eos, 100, https://doi.org/10.1029/2019EO113941. Published on 14 January 2019.